Kara was recently hired as the Health and Wellness Coordinator for the St. Paul Fire Department. Kara’s experience in athletics, fitness, health and education have a long history. She played softball at Como High School, took boxing lessons as a teen and worked in the University of St. Thomas Athletic Department while working toward her BA degree in Psychology and Communications. She was part of a Rugby team in Venezuela, taught English and learned Spanish while living there and later taught Nutrition and Family Education classes in high schools throughout the Twin Cities following receiving her MA degree in Education. 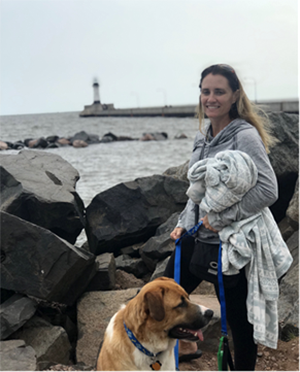 She has been a fitness instructor and personal trainer, was a strength and conditioning coach for the Hamline University Gymnastics team and most recently was Director of Healthy Living at the Downtown St. Paul YMCA. In her new role as the Health and Wellness director she will support current groups addressing peer fitness, peer support and the cancer task force. She plans to help coach and support firefighters, create educational opportunities and build a positive environment for personal, professional and organizational growth. Kara believes in lifelong learning and attempts to keep up with the newest research in all areas of health and fitness. She lives with her two children in the St. Paul area.